Joseph Silk wasn't Robert's Grandfather, although he was related. Robert's grandparents were Harry Silk / Rose Gibbons. 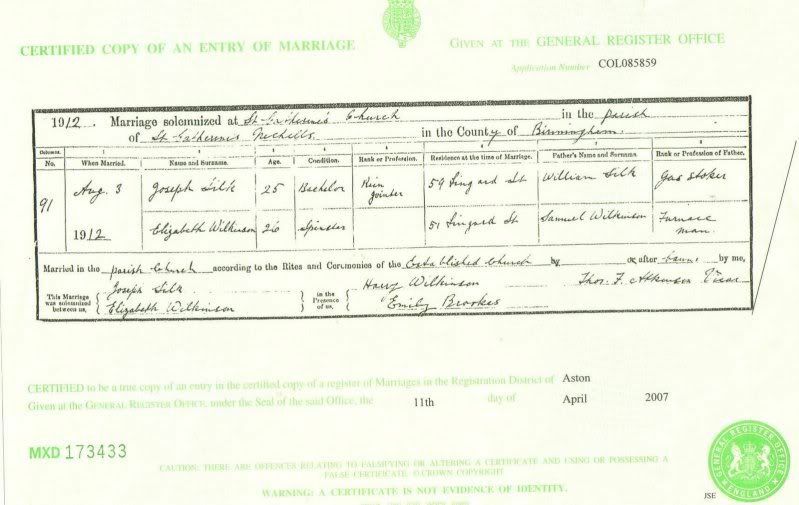 Harry Silk's ancestors came to Birmingham from Nether Whitacre in the mid 1800s. "Nether Whitacre" ahhhh! I seem to remember coming across some Silk's around there before.